Royal Caribbean's private peninsula of Labadee is a small piece of paradise that guests sailing on select Caribbean itineraries will be able to enjoy. Over the years, Royal Caribbean has added quite a bit of activities and fun opportunities to this private enclave. Here are ten things to keep you busy on your next at Labadee. Once you get to Labadee, there is quite a lot to do and many beaches to choose from. Guests can easily walk to any of these spots but when the sun is shining brightly or you need a break, consider using the tram. Royal Caribbean provides complimentary tram service that will take you all around the peninsula and for those looking for a quieter beach experience, the tram is your ticket to reaching the furthest beaches. The trams make continuous circles of their route and so the wait is never that long once the trams start running. Feel free to hop on the tram and take a "grand circle tour" of the island for fun and get a chance to see all the different spots on Labadee without exhausting yourself with all that walking. Royal Caribbean heralds the Dragon's Breath Flight Line as the world's longest zip-cable over water and it is as impressive to ride down as it is to look at from the ground. 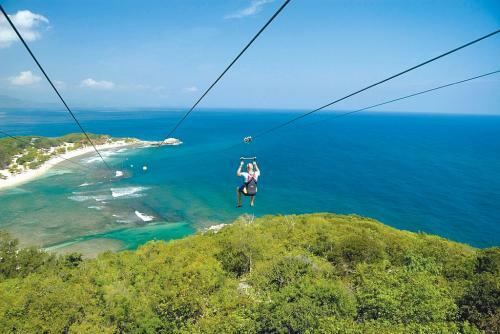 If you are looking to do the shore excursion that Labadee is known for, then this zip line is perfect for you. Royal Caribbean says guests will reach speeds of 40-50 miles per hour as they soar over the beaches of Labadee and the view you will get is unparalleled. You will have a chance to practice on a smaller zip line first before taking a truck up the mountain to the flight line starting point. Odds are your palms will get a little sweaty in anticipation but it's an amazing experience all the way down! If you ever get the chance to try the cabanas at Labadee, they are a must-do! Royal Caribbean offers Cabanas at two of its beaches on Labadee: Barefoot Beach and Nellie's Beach. Each cabana offers up to six guests a number of amenities including lounge chairs and a sofa, complimentary bottles of water, floating beach mats, snorkeling gear, towels and more. 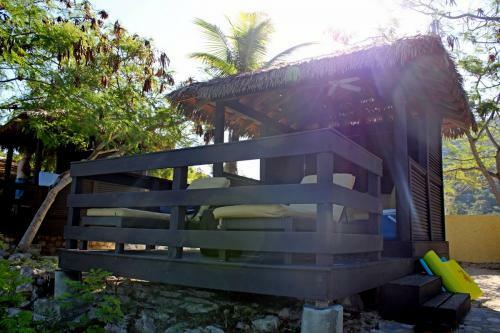 In short, the cabanas are a great way to have a private beach experience in a gorgeous setting. Cabanas are available to suite guests, however, many non-suite guests have had success in reserving cabanas on a first-come, first-served basis by going to the Explorations (shore excursions) desk onboard their Royal Caribbean ship and putting their name down on a list. 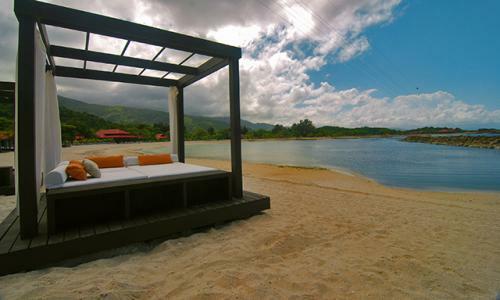 For a less expensive way to relax on Labadee, try the new beach beds. At the end of Adrenaline Beach, you will find beach beds that offer guests the opportunity to relax with the utmost comfort while remaining on the beach. These beach beds offer guests the opportunity to relax on the beach in a lot of comfort. In terms of napping spots, it does not get much better than this. Bringing home a little piece of Labadee is a great souvenir and the Artisan's Village has a lot of locals selling various hand-made creations that you can purchase. You will find wood carvings, neclackes, paintings, t-shirts and more available to purchase. Whether you buy something or not, looking at the various gifts for sale can be a nice break from the beach. For something a little off the beaten path, try Dragon's Breath Point. Located on the far left side of Labadee (if you are on the dock), Dragon's Breath Point is an area to hang out and watch the zip line but there is also a near natural effect to enjoy. As the water flows in and out among the rocks, you hear a "hissing" noise that sounds like "dragon's breath". It may just be air being compresed in small caves under the rocks, but it's a neat spot to enjoy. In fact, the area surrounding the rocks is quite beautiful as well and is a great spot for some photos. 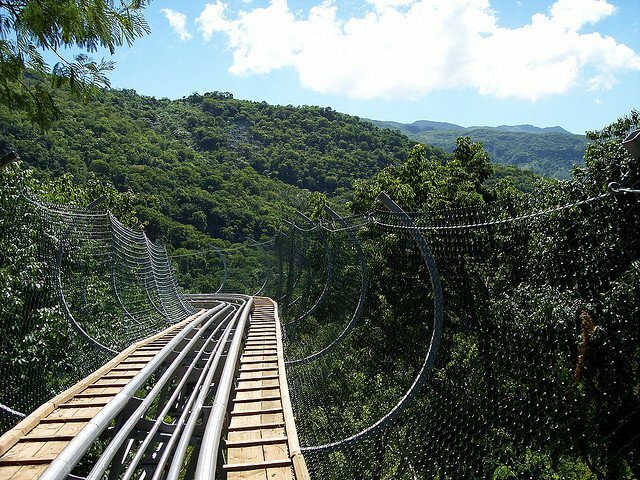 The alpine coaster found in Labadee is something unique to any cruise line's private island. Guests can ride the Dragon's Tail Roller Coaster from 680 feet above sea level and race down the mountain at speeds of 30 miles per hour. Like the zip line, Drago's Tail offers some great views of the beaches below. It's also a much longer ride down the zip line, so there is time to enjoy the views you will get as you dip and curve around the mountain. If you are considering going on Dragon's Tail, invest in the all-day pass that costs a little bit more money, but will get you plenty of opportunities to get a glimpse of Labadee as you zip down. 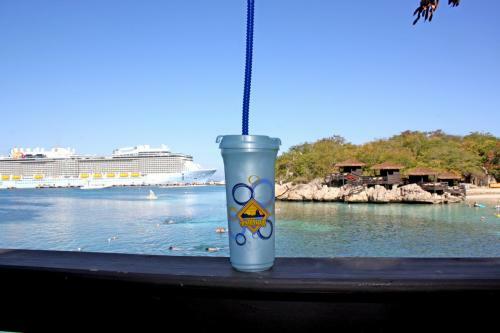 My absolute favorite thing about Labadee has to be enjoying their signature drink, the Labadoozie. The Labadoozie is a frozen alcoholic beverage that is served in a cup or souvenir mug. It's a combination of a few fruit juices, rum and ice that combine to form the perfect concoction for a day at the beach. You can purchase Labadoozies from any of the bars, but often you will spot Royal Caribbean waiters walking around the beach selling these drinks. For kids, you can order the Labadoozie without alcohol so the whole family can enjoy the experience! 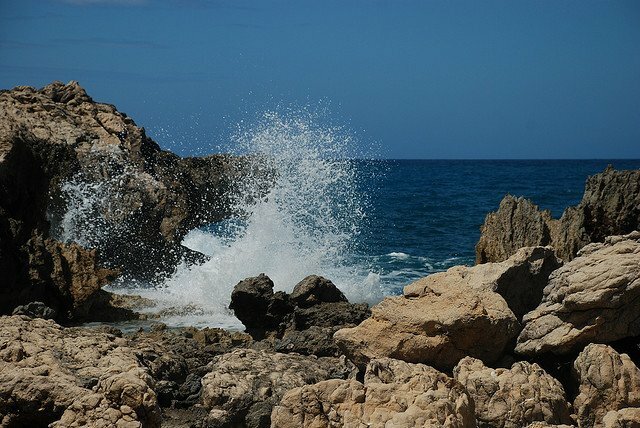 What are your favorite things to do on Labadee? Share your thoughts in the comments!